Sizes available: 1.75 oz / 52 ml. 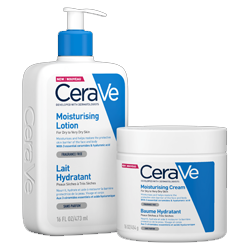 All CeraVe products contain the 3 essential skin-identical ceramides that healthy skin needs to help restore and maintain its natural protective barrier. 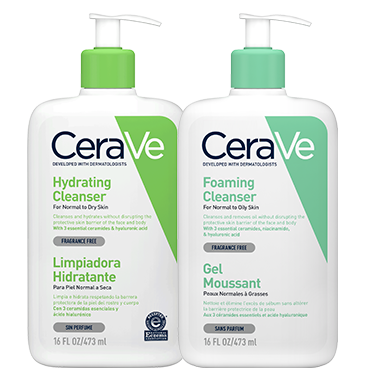 Developed with dermatologists, CeraVe Facial Moisturizing Lotion effectively moisturizes and helps to restore the protective skin barrier of the face and neck. This lightweight, non-greasy lotion, with 3 essential ceramides and hyaluronic acid, provides all day hydration after just one use. Fragrance free formula is suitable for sensitive skin. Cleanses and removes excess sebum without disrupting the protective skin barrier. You are now leaving CeraVe.hk.